Welcome to Emergency Dentists USA! 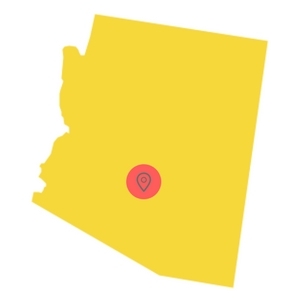 We are here to help you find the right emergency dentist in Gilbert, Arizona. Here at Emergency Dentists USA, we provide you a comprehensive list of qualified emergency dentists in the area to help you during your dental emergency. We are here to simplify your search for the right dentist for your dental emergency so you can get back to enjoying your time in the wonderful city of Gilbert. A fast phone call to a friendly operator at Emergency Dentists USA connects you with the right dental service in Gilbert, AZ for your lost tooth, toothache, or whatever dental emergency you are facing. Emergency Dentists USA is a great service and has a great website. I’d recommend calling them if you’re ever in dental pain and your dentist isn’t open. They have access to all emergency dentists throughout the US and can help you find one near you quickly. Whatever your emergency, there is an emergency dentist in Gilbert that can help you. After hour dentists are dentists that have office hours later than the typical 5 pm cut off time that most dental offices have. There are a number of dentists in Gilbert that can help you out when you have an after-hours emergency. Higley Park Dental office has after hours on Wednesday until 7 pm and Seville Family Dentistry has late office hours until 7 pm on Tuesday and 6 pm on Wednesday. These offices make it possible for you to get the treatment you require even later in the day so that you don’t have to miss work or cancel a trip. There weren’t any 24-hour dentists in Gilbert that we found through our research, however, there are numerous dentists that are open 8 AM to 2 PM on Saturdays which helps if you are facing a dental emergency on a weekend. Emergency Dentists USA has your comprehensive list of after hour emergency dental clinics located in the beautiful city of Gilbert, Arizona. Our accurate listings make it simple for you to find the dental treatment that you require during the time that you need it. Our 24-hour emergency helpline provides you a live person to lead you in the right direction. Description: If you happen to encounter severe dental pain during your stay here, just reach out to the operators on our dental hotline and they can steer you in the direction of an after-hours emergency dental professional quickly. Description: The dentists at Higley Park Dental are focused on providing personalized oral health care for those who live in the Chandler, AZ, Gilbert and Queen Creek, Arizona area. Dr. Lonnie Eckman, DMD, is the go-to dentist in Gilbert, AZ for any ER condition. Description: The staff here at Precision Dental are known to be among the best in Gilbert, and can tend to your needs with compassion. They are known to provide excellent service for those who are anxious around dentists and can offer help for anything from a root canal to general check-ups. Description: The staff at Town Square Dental has been known to be among the most hospitable in Gilbert and can help you with any age range patient. You may be in need of anything from an extraction to a root canal or help with a tooth that has been aching for quite some time. This office is open on Saturdays from 8 AM until 2 PM, which makes them a great choice if you are looking for a Saturday dentist. Description: The staff at Johnson Larsen Family Dentistry is a caring bunch that has years of experience, and an excellent bedside manner. You may be suffering from extreme tooth pain that could be an abscess, or have a need for a standard check-up, this is a clinic that can meet your needs. Description: The staff at Seville Family Dentistry has years of experience and many hours of dental skill to make sure they are the best at their craft. This office is even open on Saturdays from 8 AM until 3 PM, which is great for those that have a very busy schedule and find it difficult to squeeze in medical appointments during the week. Gather your most recent dental records and x-rays to bring with you to your Gilbert emergency dental visit. Be sure to include your dental insurance and identification card for your visit. Ask if the dental clinic accepts your chosen form of payment whether that is cash, check, or credit card. It is best to arrive a minimum of 15 minutes before your scheduled appointment in order to fill out the regular paperwork. It also provides you the time to ask any questions you might have in regards to your treatment. 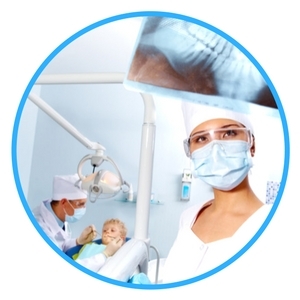 Try to remember that an emergency dental clinic is very similar to your regular office visit. They provide the same standard services such as x-rays and cleanings and more extensive services such as extractions and abscess treatment. Make certain that the Gilbert emergency dentist that you choose is in your dental insurance network. If they are out of network, the cost to you could be higher. If you have any known allergies, let the emergency dentist know. Bring with you a list of any medications or supplements that you are currently taking. Whether you have an abscess or an issue with your braces, your Gilbert emergency dentist can handle your emergency for you in a timely manner. These types of emergencies are scary experiences that require prompt treatment and our dentists are there to handle your situation in a fast manner for you. Having a knocked out tooth is one of the most frightening experiences. It is important to stay as calm as you possibly can and retrieve the tooth. Carefully pick up the tooth by the crown, being careful not to touch the root. Rinse the tooth carefully to remove any dirt but not so much as to remove any tissue from the roots. Try to place the tooth back into the hole it came out of. Do not force it. If the tooth cannot be replaced, put it in a small container of milk or a cell growth medium, which is available at the pharmacy. Call your dentist as soon as possible because a tooth replaced within the hour has the best chance of being saved. 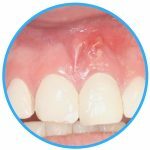 An abscess can be a dangerous infection because it is capable of damaging the bone below the teeth and its surrounding tissue. It usually occurs around the root of the tooth or between the gum and tooth. It can look like a small pimple. To help ease the pain of an abscess, rinse your mouth with a warm salt water solution several times a day. This can help draw the pus from the abscess towards the surface. Contact your Gilbert emergency dentist as soon as possible and schedule an appointment if you suspect you have an abscess. A wild pitch, a headbutt, or a slip and fall can lead to tooth trauma. This trauma could be a broken tooth, a knocked out tooth, or even a discolored tooth. A cold compress placed on the outside of the sore area can help with swelling and pain. 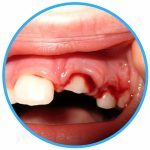 This type of injury should be treated as soon as possible by your emergency dentist. If you can not get into the dentist or you feel your injury is to more than just your teeth, call 911 or visit your nearest emergency room. On occasion, it is necessary to have an emergency tooth extraction. There are numerous reasons why you might need a tooth extraction, including a fractured root, tooth damage that can’t be repaired, or even an infection left untreated for too long. It is best to have the tooth removed as soon as possible even though you might be tempted to wait. An emergency tooth extraction is the complete removal of the tooth from the jaw. In order to ease the pain of removal, anesthetic is applied. Your mouth will be completely numb for a few hours after the extraction. The dentist removes the tooth once the area is numb and places a piece of gauze on the extraction site to help a blood clot form. The blood clot aids in normal healing. The gauze pack should be left in the mouth for a minimum of 30 minutes while keeping the pressure on the pack. Do not eat while it is in place. Do not spit, use a straw, or do strenuous activity for 24 hours after extraction. You should also avoid alcohol, smoking, and sticky foods for 24 hours. You can begin eating solid foods once you are able to chew normally. Contact your Gilbert emergency dentist should you have excessive pain, swelling, or bleeding following the procedure. An emergency dentist has been properly trained to handle dental emergencies that may arise. They are your best choice when it comes to emergency dental cases. Problems like lost fillings, broken teeth, toothaches, and broken braces all should be handled by a Gilbert emergency dentist. A tooth damaged due to a sports accident or car accident should be seen by an emergency dentist but may require a visit to the hospital emergency room if there has been trauma to more than just the tooth. The emergency room is designed to x-ray and treat broken bones and concussions in ways that a dentist can not. The physician can give you medication for toothaches, should you not be able to see your emergency dentist right away. Always check out the dentist of your choice credentials with local state and city dental associations. The American Dental Association provides you with a convenient search option through their website. There is also information available to you about dentists and their credentials on the Arizona State Board of Dental Examiners website. The Emergency Dentists USA portal is a website that is designed for informational purposes only. This website should never be used to replace the actual advice of a medical professional. If a patient is having an emergency and cannot reach a dentist, it is important to call 911 or proceed directly to the nearest hospital emergency room to ensure prompt treatment and safety.